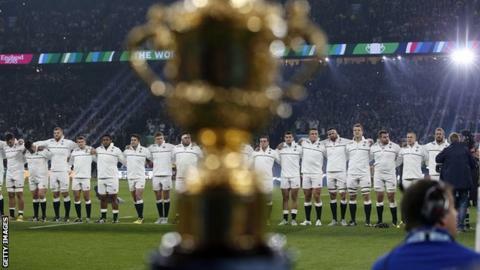 England's Rugby World Cup: Where did it all go wrong? The first host nation to go out in the group stages of a World Cup. The earliest England have ever exited the tournament. The 33-13 humiliation at the hands and boots of Australia on Saturday brought four years of expectation and optimism crashing to an end. So where did England's 2015 World Cup campaign go so horribly wrong? England's centre pairing in the defeat by Wales had never started a competitive match together. They were the 14th combination of Stuart Lancaster's regime; against Australia, he fielded the 18th combination of fly-half and centres in his four years. Such inconsistency is not entirely the coach's fault. Many players failed to take the opportunities they were given. Equally he cannot escape the blame. England went into this World Cup still unsure of their best XV. They left a successful centre out in Luther Burrell, picked a rugby union novice in Sam Burgess and selected a young talent in Henry Slade who was then not trusted even off the bench. Neither was the foggy thinking restricted to the centres. George Ford had been perhaps the key driver as England developed a more expansive and dangerous game plan at the start of the year; when the big contests came this autumn, he was relegated to the bench, and England's style regressed accordingly. Conservatism took over. Danny Cipriani, a maverick who learned to behave, was granted little of the largesse offered to Burgess and left to watch at home - or in the studio. Brad Barritt, a solid inside centre, was picked on the outside against Wales and played to type: four carries, four metres made, four tackles, no offloads, no defenders beaten. A year ago the Wallabies tweaked their selection policy to allow them to pick experienced men playing overseas. On Saturday, Matt Giteau showed why. England, by contrast, stuck to their rules: only in exceptional circumstances could foreign-based players be called up. It may have aided the domestic game, but it left a world-class open-side in Steffon Armitage sitting in France. As many predicted, the breakdown - at which Armitage excels - was one of the critical areas that cost England the game against the Wallabies. Lancaster has shown immense loyalty to Chris Robshaw, making it clear his captain's leadership skills, work-rate and dedication were essential components in his team's construction. Robshaw's desire cannot be faulted. The same cannot be said of the balance in England's back row. Lancaster was unlucky to lose number eight Billy Vunipola to injury and have Ben Morgan coming back from a broken leg. Yet against Australia, as in other big defeats in his regime - not least the similarly chastening 30-3 defeat in Cardiff in March 2013 - his preferred picks were overwhelmed. Australia picked two world-class open-sides in David Pocock and Michael Hooper, happy to play the former at number eight for the destructive power it would give them elsewhere. Sure enough, Pocock - outstanding at the last World Cup - was unstoppable once again. On Saturday he made nine tackles, six carries and 14 metres, four passes, two offloads and, most importantly, three turnovers. Robshaw? Six tackles, five carries, three metres, two passes, no turnovers. England frequently lost their own ball. When they did hang on it was slowed down and dirty. It was not a new problem, and it got worse. World champions New Zealand came into this tournament with an average of 48 caps per player and with a total of 269 tries between them. South Africa average 42 caps and have 220 tries; Australia, 40 caps and 191. England averaged 25 caps and had a grand total of 67 tries. It showed. Under pressure their decision-making frequently wobbled - repeatedly offending in the same way at the breakdown against Wales, kicking for the corner rather than for the posts with that game still to be won a week ago. Great teams react to the game around them and make the adjustments necessary to win. England could not, whether in the second half against Wales or as Australia tore them apart at the breakdown a week later. Hosting the tournament was supposed to confer a significant advantage. Huge support, every important match at a stadium they know intimately and every night in their long-term hotel, a week to recover between every game. Instead that support and expectation became a burden rather than a boost. England buckled under the weight. And Lancaster, who had four years to develop a side with the nous and numbers to cope with it all, must accept some of the blame. This was the most testing group the World Cup has ever seen. Never before has a side had to meet two opponents ranked so high at such an early stage of the tournament. Making the draw so long ago - it was December 2012 when the groups were allotted - was unnecessary and self-defeating. Equally it does not exonerate England. Had they not dropped to fifth in the world rankings after two big defeats that autumn, they would not have found themselves in such weighty company come this September. Wales too were struggling at that time, dropping down to ninth. Yet they have fought their way through, even with fewer players to choose from and a domestic game that looks enviously at the wealth and stability across the border to the east. Because England are not only the wealthiest rugby nation but in theory have in place the perfect feeder system. Premiership academies are producing player after player. England have won two of the most recent World Junior Championships and reached the final of another. To look for excuses elsewhere under such circumstances is delusional. England's opportunity was their own. When England have struggled for flair and momentum in the past they have been able to fall back on the old essentials of the national game: a hard and nasty pack, a rock-solid set-piece. It was how they recovered from the mess of that 36-0 defeat by South Africa in the group stages of the 2007 World Cup to overcome Australia in the quarter-finals and upset that year's hosts France in the semi-final in Paris. This year that traditional strength has slowly leached away and their best scrummaging lock, the 18st 10lb Dave Attwood, was left out of the squad. The signs were there in the warm-up match against France, surfaced again against Fiji and came to a crescendo against a Wallabies side so frequently mocked for their struggles in the front row. On Saturday, England conceded five scrum penalties to a team they mangled up front less than a year ago. They were forced to replace both first-choice props with less than an hour gone. A winning team cannot be built on such foundations. Stuart Lancaster has worked relentlessly to make this England team a success. Few coaches have given as much thought to so many aspects of their performance, and not many will be hurting as much as Lancaster as this World Cup campaign has collapsed. Yet it is hard not to draw parallels with another England coach whose side crashed out at the group stages of its biggest test - Peter Moores, sacked in May - for a second time - after a dismal Cricket World Cup. Both decent men, both meticulous with detail, both good with young players, both struggling to bring the best from their teams in their defining contests. Lancaster, insistent that no England man under his watch would behave the way some had at the last World Cup, began this one with two key players - Dylan Hartley and Manu Tuilagi - out of contention for disciplinary problems on the pitch and off it. Get the culture right and all else follows, he repeatedly stated. As the title of his favourite book has it, The Score Takes Care of Itself. Instead it was the more traditional stuff that proved critical: how many world-class players you have, how well they are playing, how solid their strategy is. Lancaster has a contract until 2020. When Clive Woodward failed at the 1999 World Cup he was given a second chance, and responded by turning England into world champions four years later. Whether Lancaster will get the same opportunity is less certain.